The days of unlimited movies on MoviePass will soon have (movie) passed. MoviePass is no longer allowing customers to see one movie per day. Instead, the $9.95 subscription will allow customers to purchase only four tickets per month, with MoviePass CEO Mitch Lowe admitting that he doesn’t know if the “unlimited” plan will ever return. To help ease the blow, MoviePass is throwing in a three-month trial of iHeartRadio’s All Access subscription, though it’s not exactly clear why a three-month trial for an audio service is supposed to be a decent stand-in for movie tickets. The new plan also bills customers quarterly, so you have to pay for MoviePass in three-month chunks. That’s a far cry from the annual plan I switched over to back in November of last year, when I paid $89.95 upfront — or just $7.50 a month — for a full year of MoviePass’ unlimited access plan. That plan is no longer available, either. The other change is a modification to the company’s terms of service that prohibits MoviePass customers from buying tickets to “select” movies more than once. We’ve reached out to MoviePass for further comment, but a support ticket explaining the change justifies it by saying, “We hope this will encourage you to see new movies and enjoy something different!” That’s an even more distasteful change, because the company is offering zero guidance or transparency about what films will be impacted. What has made MoviePass great for consumers is the ability to see films whenever you like, knowing that if your friends want to see something in the future, you can always go a second time. For tentpole blockbusters — movies like Star Wars: The Last Jedi, Black Panther, or The Avengers: Infinity War — repeat viewings are a cornerstone of the fan experience. MoviePass used to enable that. MoviePass has used these kind of bait-and-switch tactics before, usually as part of selective market tests as a way to see what its subscriber base is willing to put up with. We’ve seen the company play hardball with AMC by blacklisting popular theaters in major markets like New York City, and play fast and loose with math in order to inflate the amount of revenue it drives in ticket sales. 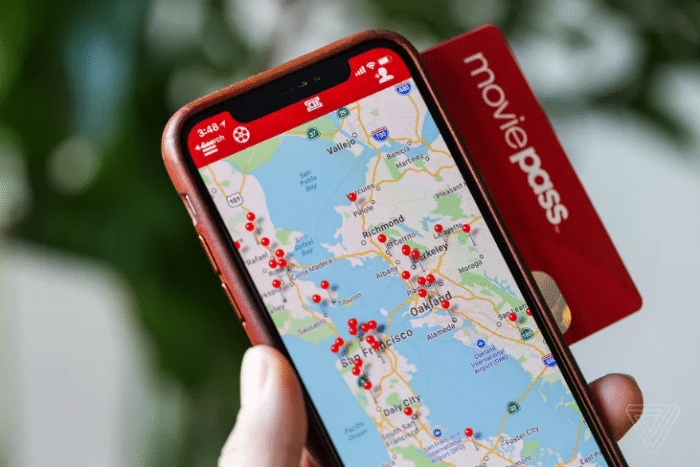 Some of the moves have been ways to bring major theater chains to the bargaining table, in MoviePass’ bid for a possible cut on concessions or ticket sales.